Significant advances have been made in the management of human actue myelocytic leukemia (AML) over the last decade (5,6). However, the overall remission induction rate and survival time are still less than obtained in other types of leukemia, e.g., acute lymphocytic leukemia (ALL) (3,8). An animal leukemia model analogous to human AML would be helpful in the design of experimental therapy regimens. 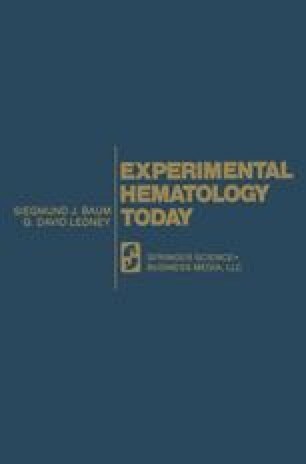 Two prerequisites for the relevance of such a model are (1) a slow overall growth rate of the leukemia, and (2) a suppression of normal hemopoiesis that runs the same course as that in the human disease (10,11).